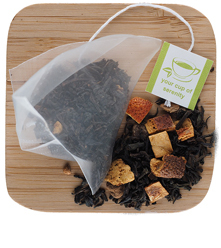 We've added dried mango pieces to hand-picked Sri Lankan tea to make a beverage that can be enjoyed hot or cold. 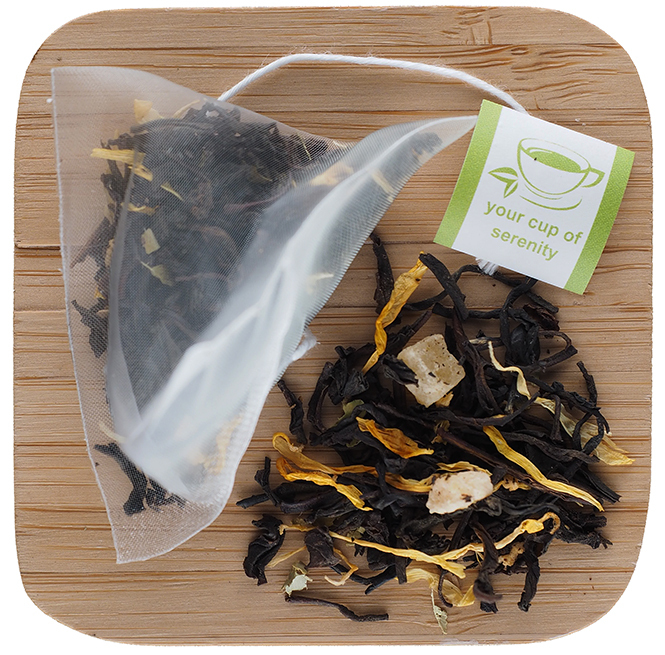 Back by popular demand, this fruit-filled black tea is one of our favorites for making iced tea. 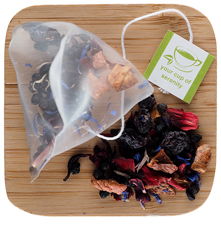 We love to take it on picnics because it makes our car smell so good! 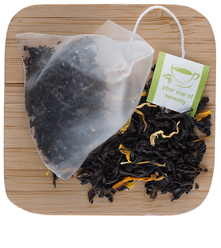 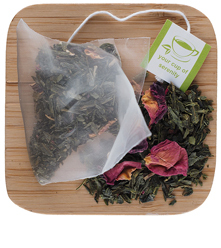 The blend contains mango pieces, lime leaves, calendula and sunflower petals.